We might as well just face it, the S word – which comes as such a drag to those who envision a show home level of pared back perfection – is a fundamental consideration for our homes. As much as it may sound terribly mundane and practical, no stylish space can stay perfectly polished for long without a well-thought-out array of storage options. But how does one divide and conquer the complex thing that is our home contents? 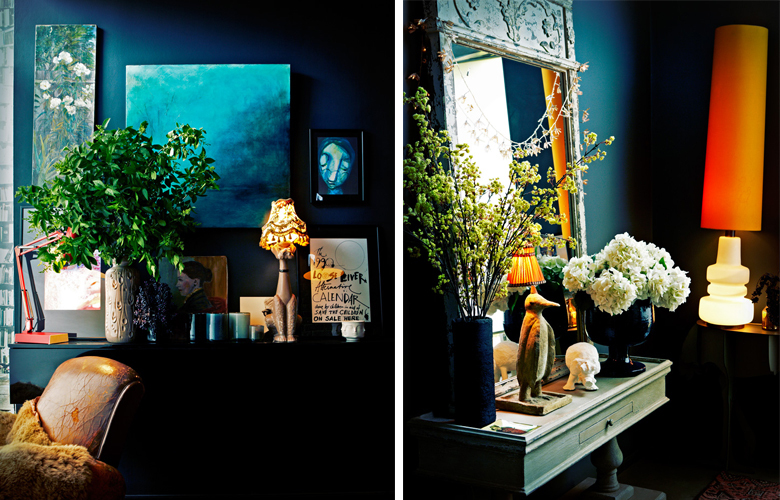 What do you store away and what do you display to ensure your home stays stylishly in-line? Thankfully the interior gods are looking down on us. In addition to an industry which now produces stunning storage options to rival any piece of furniture, interior designer Abigail Ahern is on hand to give us her tricks of the trade. Creating quite the buzz amongst the discerning-set in the interiors world, the designer has gone from strength to strength recently. Abigail – who describes her at-home style as, “Eclectic of course but it’s also a bit rock ‘n’ roll, tongue-in-cheek and glamorous” – has a plethora of tips on stylish storage.